What kid doesn’t love a dance party? With aliens and sharks that drop, double down, and dab? Introduce kids to the basics of computer science in a way that doesn’t elicit “I’m boooored” with Dance Party, the draw for the 2018 Hour of Code. Do a little dance, make a little code! The Hour of Code takes place each year during Computer Science Education Week, held this year December 3-9. 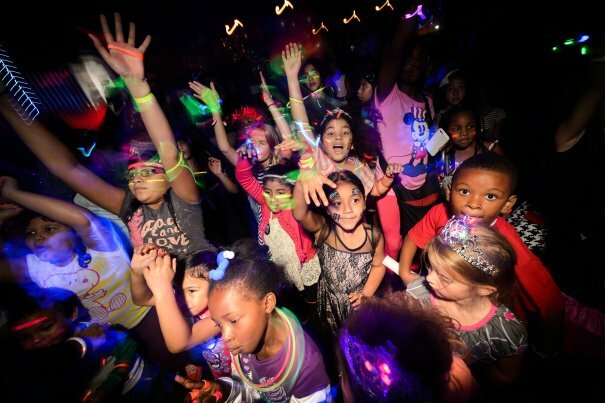 With Dance Party, kids four and older create a musical track with code by choosing among more than 30 songs from artists such as Ariana Grande, Ciara, Justin Bieber, Katy Perry, Lady Gaga, Bruno Mars, OutKast—even the Village People. Then users choreograph the characters’ moves—dab, floss, double down, whatever—while they’re learning basic computer science concepts. Minecraft Hour of Code. (Grades 2+) If there’s a Minecraft gamer in your house, this year’s new Minecraft Hour of Code, the Voyage Aquatic tutorial, introduces players to new puzzles both above the ocean and under water. Scratch. (Ages 8–16) Developed by the Lifelong Kindergarten Group at the MIT Media Lab, Scratch is a programming language for creating stories, games, and animations. The first Hour of Code challenge was held by Code.org in December 2013 to acknowledge computing pioneer Admiral Grace Murray Hoppe’s birthday on December 9, 1906. Supporters include Amazon, Facebook, Microsoft, Bill and Melinda Gates Foundation, Google, PricewaterhouseCoopers, Salesforce, and many others. According to Code.org, more than 651,209,828 have tried the program—including our favorite fourth grader gamer who had a blast!